When it comes to Office for the iPad, Microsoft needs to poop or get off the pot. Microsoft is in the news again, making more noises about Office for the iPad. But more and more, those noises sound a lot like flatulence. "So you'll see us be thoughtful about how and when we bring what applications to what platforms," Reller added at the Goldman Sachs-sponsored technology conference where she spoke Thursday. A follow-up question from the moderator brought even more from Reller, who talked about the importance of differentiating Windows to customers, both end users and OEMs (original equipment manufacturers), the vendors that make and sell devices. "A part of that [differentiation] is Office, for sure," Reller said. That implied Office would still be used as a carrot for customers to stick with Windows, not desert the OS for rivals, a hint she quickly made even clearer. "With Windows, we're obviously spending a lot of time thinking about how we continue to differentiate the full Windows experience, particularly as we think about our partners and how we differentiate for them to pick Windows over Android." If that wasn't clear enough, Reller pointed out that changes to Office's platforms would be a business decision, not one based on customer requests. "We come at it from that angle, which is 'What businesses do we need to drive forward?,'" said Reller. "That's how we will make the decision [to go cross-platform]. It really ends up being business by business, product by product. There's no sweeping one decision." 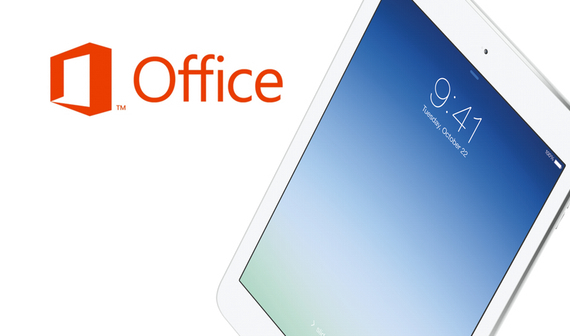 For the last year or so, Microsoft has been on the fence about whether or not to bring a touch-centric version of Office to the iPad. What we know for sure is that the software does exist at an advanced stage of development, and that there is an internal war within the company over whether or not to ever release it. Internally, this is being treated as a bet-the-company type decision. Last year, the CEO was said to be on board with releasing Office for the iPad as soon as it was ready. This was met with resistance by some teams. Now, we have a new CEO, and the chief of marketing is messaging uncertainty, if not outright hostility towards the notion of decoupling Office from Windows. Just days after Reller's comments, Microsoft watcher: Mary Jo Foley reported that not only is Microsoft going to release a version of Office for the iPad in the first half of this year, but that it will most likely come out ahead of the Windows version of the software. Mary Jo seems very certain about her sources. But she is exuding a certainty that Microsoft is not. Revisit Reller's comments: "We come at it from that angle, which is 'What businesses do we need to drive forward?,'" said Reller. "That's how we will make the decision [to go cross-platform]." This decision is about which business units Microsoft needs to protect, or artificially prop up. It has nothing to do with their reckoning of what customers want or need. We know that the Windows unit is suffering, and the hardware unit is hurting badly. So far, Microsoft has pursued the strategy of keeping Office exclusive to tablets running Windows. They have heavily marketed this as a key differentiator. It's not working. Surface is a dud. Holding back Office from Android tablets and the iPad has also not helped Windows 8 adoption. Now, they have to decide if the money they stand to gain on a cross-platform product is worth the amount of face they are going to lose by pandering to the competition. Enterprise mobile services vendor Good Technology reported that Apple's iPad accounted for more than 91 percent of enterprise tablet deployments, while iPhone represented 54 percent of smartphones activated by the more than 2,000 companies using its services in the fourth quarter, giving iOS an overall 73 percent share of mobile devices in the enterprise. When businesses reach for a tablet, they reach for an iPad. Office is a business-centric application. It is not available for the iPad. More and more, enterprise level businesses are comfortable going with solutions that do not involve Microsoft Office. By the time Microsoft releases the software, business users and consumers will have had a long time getting along just fine without it. At that point, they might even come to see Office as an intruder. While many (including me) will be curious to see the implementation, the likely, $99 per year subscription fee will put them off the product for good. Speaking of price, there is almost no chance that the product will be something you pay for once, and own forever. One of the business units they need to artificially prop up is the services division. Microsoft is using Office to pursue the strategy of software as a service. Office is no longer a product, but a subscription service. You never own it. You rent it for $99 a year. Let you subscription laps, and you no longer have a working copy of Office. That is what Microsoft wants to bring to the iPad. This is already available on the iPhone. Never has there been more useless products than a word processor and spreadsheet on a 4" handset. Spreading that experience over a 10" screen does not make it worth $99 per year. My advice to Microsoft, don't do it! Give it up. You will only make a even bigger fool of yourself. It is already too late. No one is going to buy this tardy offering for $99, let alone, $99 per year. It is better to make a stripped-down version of Office and charge a one time payment of $20. It is better to get something from a lot of customers than get a lot from no one. One morning, Blackberry woke up to a world where BBM, hardware keyboards, and push email were no longer selling points. Now, they are bootstrapping Android apps onto their platform in a desperate and failing bid for survival. Microsoft now finds themselves in a world where neither Windows nor Office are the selling points they once were. Microsoft has no plan B. The latest scuttlebutt is that they are looking at bootstrapping Android apps onto Windows and Windows Phone. Google's new pitch to competitors should be, "It's Android or the undertaker. You make the call." Newer:The cross-platform mythOlder:Profit vs. marketshare: is there room for both?